PNY Technologies has lifted the lid on its latest SDHC/XC High Performance memory card. The high-speed, high-capacity card is the latest solution in PNY’s imaging range to meet the demands of the high-end digital imaging market. 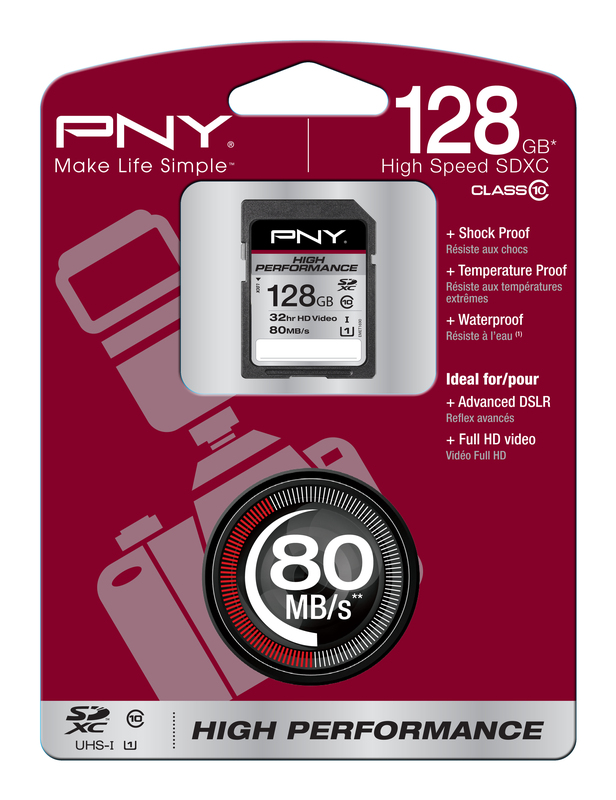 Offering exceptional speeds of 80MB per second, these cards are specifically designed for professional and semi-professional photographers who want to maximize the number of shots in continuous (burst) mode. Certified Class 10 UHS-1 (Ultra High Speed), this card is ideal for photographing or filming any subject in Full HD in the most extreme conditions. The High Performance SDHC/XC 80M/s cards are now available from PNY’s usual distribution network in 16GB, 32GB, 64GB and 128GB. The super high capacity allows the most enthusiastic photographers to shoot without limit in high definition.